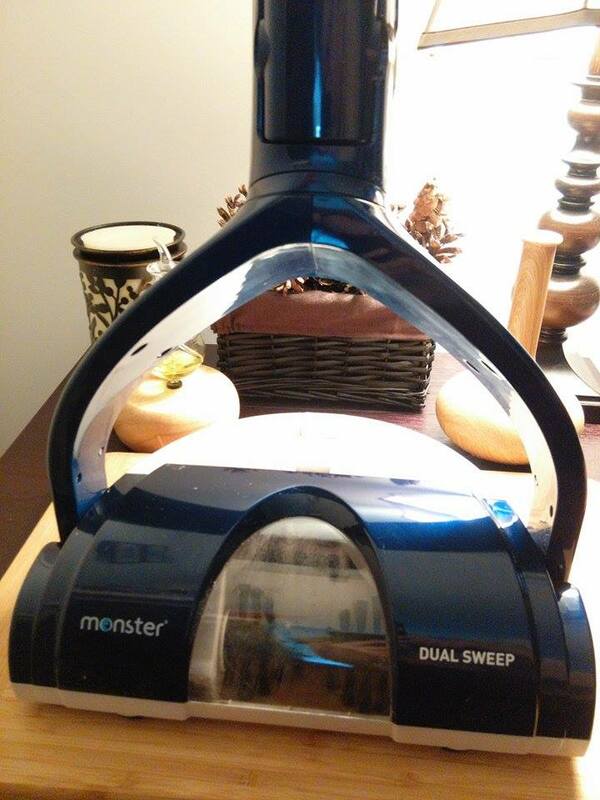 Monster DS001 Cordless Sweeper. 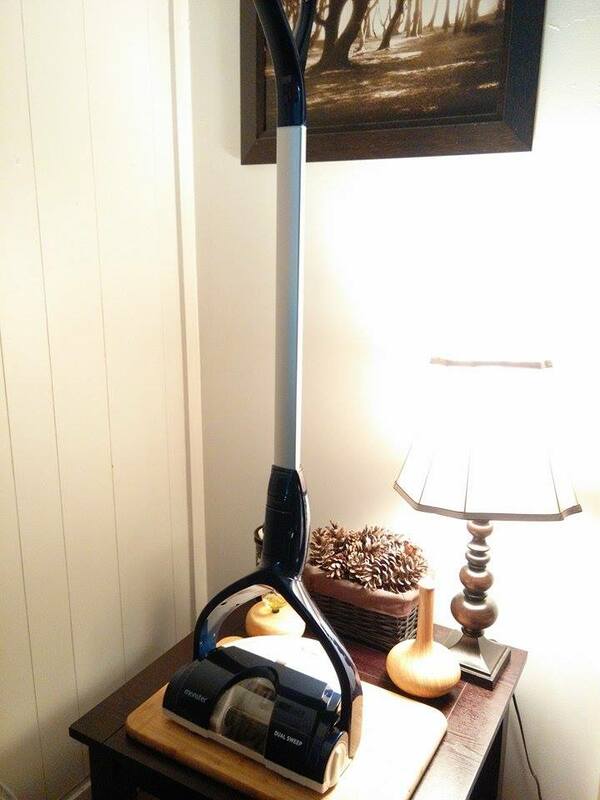 Exclusive Dual Brush High Performance Cordless and Rechargeable Floor and Carpet Sweeper. From Italy's leading designers and engineers of unique electric cleaning appliances comes an ultra high performance cordless sweeper that will deliver unparalleled hard surface and floor carpet cleaning results. 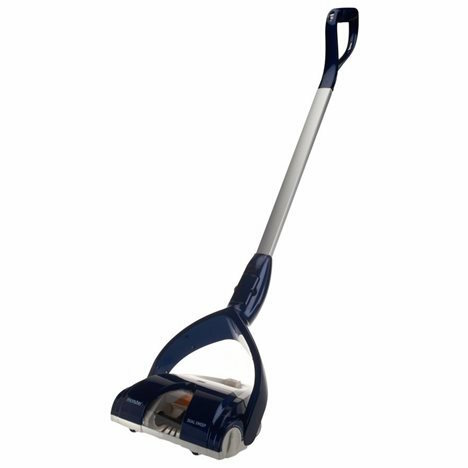 Features a patented DUAL MOTOR 2 SPEED SYSTEM that simultaneously rotates the dual brushes in opposite directions that assure quick, maximum, and efficient removal of debris from all floor surfaces. Also features DUAL SIDED EDGE CLEANING and even the ability to remove brushes for easier maintenance. Can operate up to 30 minutes with NiMH battery with NO LOSS OF POWER. 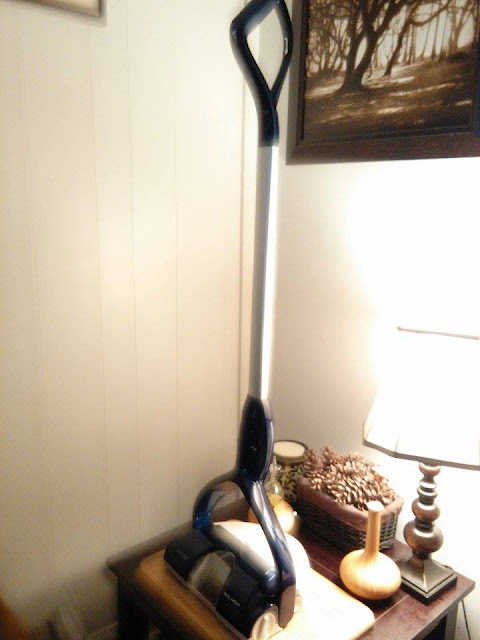 Also features a single handed grip with built in controls, a tilt handle to get under furniture and a "super glide" design floats smoothly on even higher pile carpets. 11' WIDE CLEANING PATH. 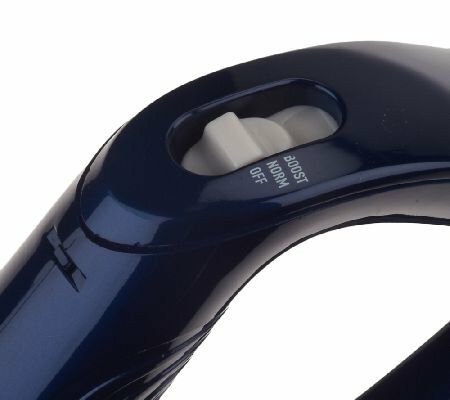 Debris collection bin traps dirt and prevents spilling when emptying.Very effectively picks up pet hair and unlike vacuum cleaners there is no clogging. It's the perfect tool for "in between" big cleaning tasks. 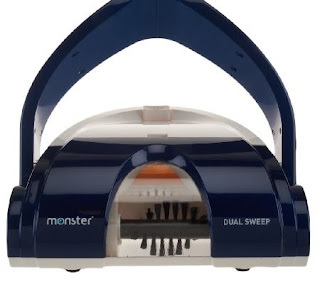 Use it in living room, kitchen, bathroom, bedroom, the kids' room, clean your stairs, the hallway and even the basement: the Monster DS001 Dual Cordless Sweeper will never let you down. Better than a stick vac! 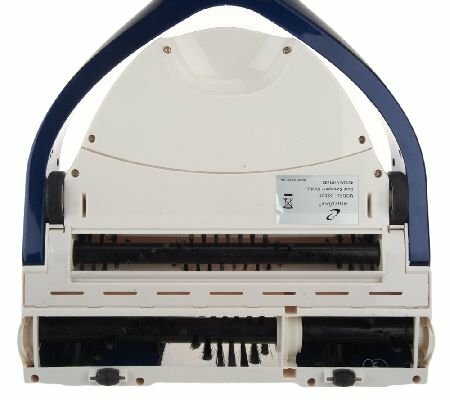 EXCLUSIVE COUNTER ROTATING BRUSHES for maximum pick up power. TRAPS EVEN THE FINEST PARTICLES - NOT TO MENTION PET HAIR! Having a family of 6 and pets in the home, I was happy to get this Cordless Dual Sweeper from Monster. Here is my video review.